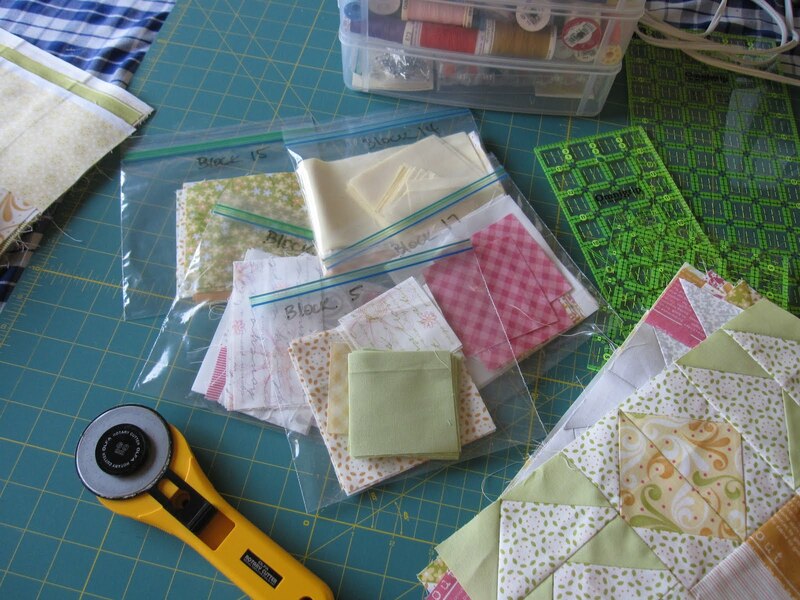 I know that the ease of just grabbing a bag and spending some time only sewing will help me get through these quicker than my usual routine of ironing and cutting the fabric out before I begin sewing each block. I am on a mission to finish my WIP's early in the summer so that I can spend time on Christmas projects and creating items for a craft fair that I've been asked to participate in later this year (more on that later). Should not be any surprise to those who know me or have been reading this for a while that I make Mac-n-cheese from scratch. I am not a food elitist who looks down on packaged foods as a whole but while in my 30's and as the cook/chef in the house, feeding myself and my family healthy and great tasting food became very important to me. 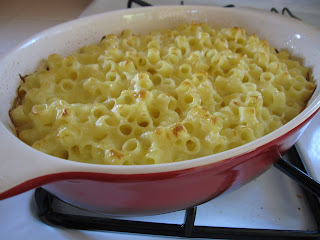 I know that the adjective "healthy" and Mac-n-cheese do not normally go together but when I make Mac-n-cheese from scratch at home with only six ingredients as opposed to the 14 or so listed on the ubiquitous Kraft Mac& Cheese label, I know that I am serving my boys a healthier and much better tasting (to their palates) dish. We eat everything in this house and I buy nothing diet, low fat or low cal as I want what I eat to taste the best it can, but we do eat in moderation. Would I like to sit in front of the TV with a pint of Ben&Jerry's Creme Brulee, S'Mores or Peanut Butter Cup and devour the whole thing? Sure I would...but I don't. Boil your pasta in water that has been salted. It will taste better. While the pasta is boiling, in a separate pan melt the butter. With whisk in one hand, pour in the flour and stir the butter and flour together to make a roux. Keep the heat on to cook this roux for about a minute, but do not let it brown so keep the heat to medium. Again with whisk in hand, slowly pour in the milk into the roux mixture. It will be very thick at first when you begin pouring the milk, but will relax once you have poured in the entire cup. Turn up the heat to get this mixture to a slow boil. Put your whisk away as now you need a spatula or a long handled spoon. Now you add your cheese or cheeses. I call this the "whatever cheese is in my fridge" Mac-n-cheese because I like to use up small amounts of cheeses so they don't go to waste. Last week I used Pepper Jack with Cheddar and it was a hit. This week it was Cheddar mixed with Mozzarella and Asaigo cheeses. Once this mixture is thick, pour in your already drained pasta. Mix this up well and then pour in to a shallow baking dish. Bake at 400 degrees for about 20 minutes. Enjoy! I'm off to the beach now to watch my older son play soccer on the sand. I love making mac n cheese from scratch too! I add in a teaspoon or more of Dijon mustard for an extra little kick. :) I'll have to try putting it in the oven next time though! Yours looks delicious! Great idea. I do something similar, except my projects are in boxes. That way I can grab a box and start sewing. However, I like the idea of adding sandwich bags to those boxes so I can just grab a block and go. That way nothing would get mixed up together. yep, I so have to make this now..